On Tuesday April 23rd, 2013, I am planning a new class called “Say Yes to the Dress”. 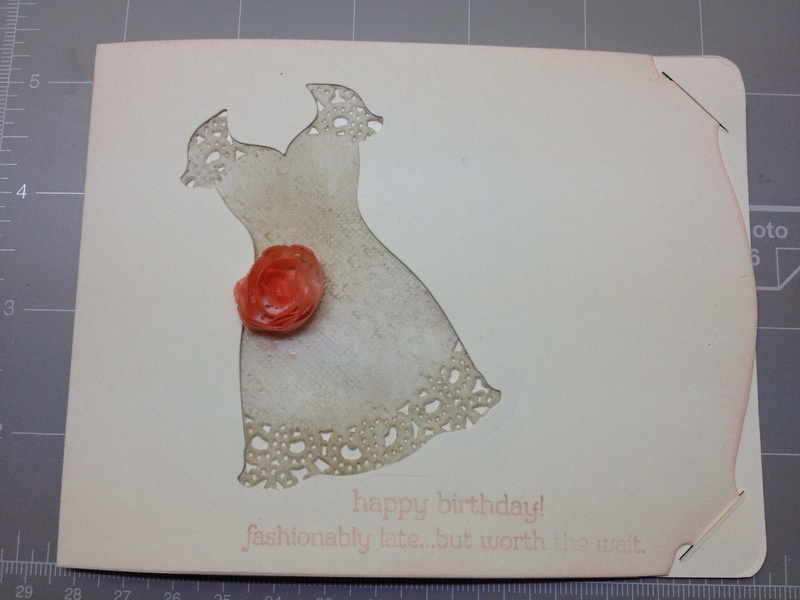 This class will feature our new Pop and Cut sizzix dies, dress framelits, All dressed up stamp set, plus pearls, rhinestones, print poetry designer paper, and more. These cards should come with a warning label “Addicting” as once you’ve played with this set, you’ll want to keep playing with paper dolls. I love making these cards and everyone I have given one to has just loved it. No two cards are ever the same. 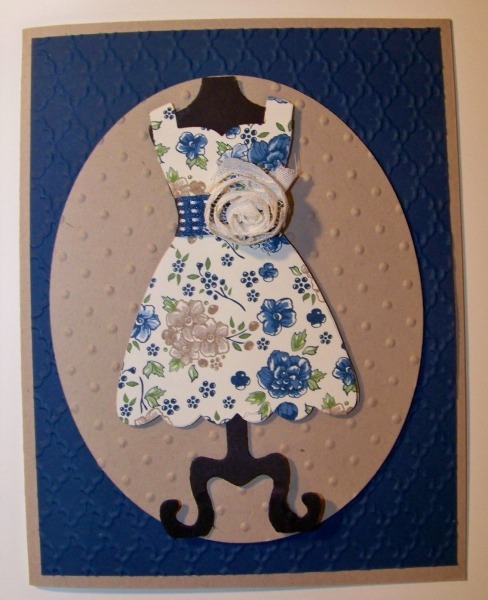 Come have fun with paper dolls! 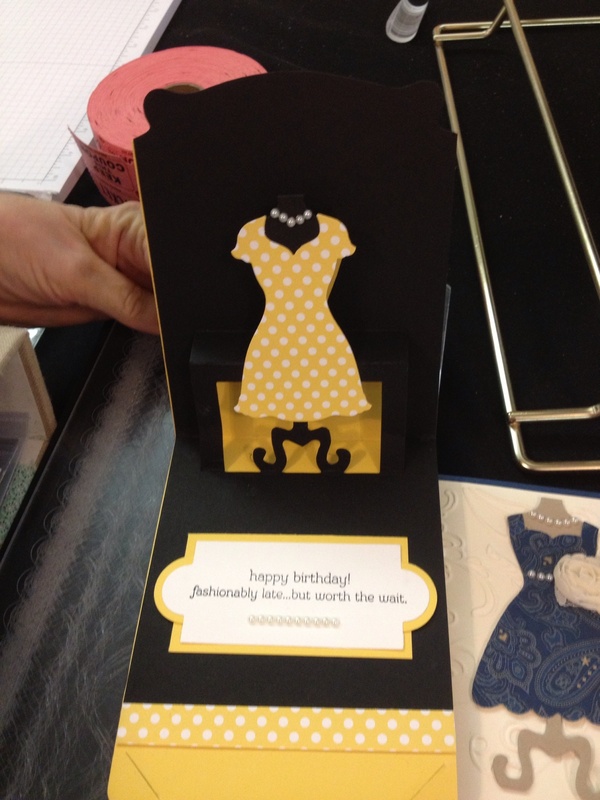 Cost is $15 and includes all card supplies and envelopes. You bring your own adhesives and scissors. **If you place a $25 or more order with me that night, you will get $10 off the class fee. Please RSVP by 3/17 so I have time to prepare for the class. email me at Lstreifert@nycap.rr.com to reserve your spot. Class is limited to 8 stampers. Sorry I can’t make it. I have a meeting at school that night. Bummer! Thanks for letting me know! I will have 1 more dress class in May!